Spring break is a great time to get away from the stress of school for a full ten days, but it is also a great time to have fun. 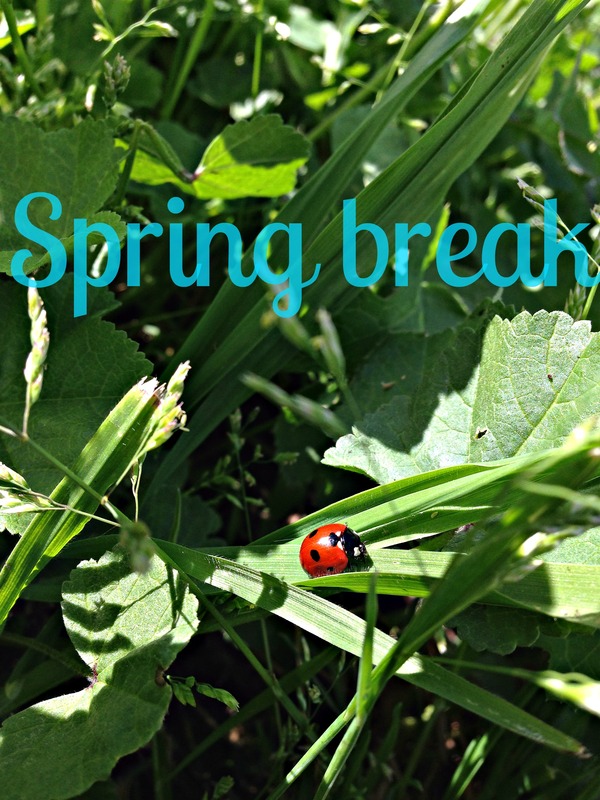 What better way to celebrate spring break than to keep yourself busy with fun-filled events? Take your time off to enjoy yourself by attending some of the events below. This was made by MADDY HEESZEL. UC Master Gardeners will be hosting the Tulare Garden Festival on April 12th from 10 am to 3 pm. Show up at the Tulare Outlet Center north of the Calvin Klein store on that date for a free event. There will be booths filled with information on how to garden and landscape your own yard. Learn how to plant your own family garden by attending this event! If you’re wanting to enjoy the great outdoors and some great food, consider attending Scicon’s 54th Annual Barbecue & Wildflower Festival. This family-friendly event takes place on Sunday, April 13th from 11 am to 4 pm at Scicon located In Springville, California. There will be a deep-pit barbecue available for lunch, nature walks, a wildflower display, musical groups, and other activities. The event itself is free, but food is $10 for adults (12+) and $5 for children and senior citizens (60+). For more information, check out www.tcoe.org/scicon. Roller Towne will be hosting their Easter Egg Hunt event on April 18th from 1 pm to 4 pm. At this event there will be, of course, an Easter egg hunt, along with some prizes and candy. This event is for all ages, so do not be ashamed to participate. You can even bring your younger siblings! Tickets for this event are $6.75 a person, but be sure to bring extra cash along for food and for roller skate ($2.00) or in-line skate ($3.00) rentals! Sequoia Riverlands Trust will be hosting their 5th Annual Earth Day 5k Trail Run on April 19th at 8 am at the Kaweah Oaks Preserve in Exeter. The event may last less less than an hour depending on how quickly you finish the 5k. Tickets are $25 for adults and $15 for children ages twelve and under. You can purchase your tickets online at https://www.signmeup.com/site/online-event-registration/99440, or you can purchase your tickets at the event for an additional fee of $5 per ticket. Included in your registration will be a 5k Earth Day tee-shirt (limited supply), snacks and refreshment after the race, and awards for the winners. All ages are welcome, and the best part is, you do not even have to be a runner to enjoy this event! Visalia Community Church of Christ will be hosting their annual Family Spring Festival on April 19th. Join them from 10 am to 12 pm for carnival booths, games, a bounce house, an Easter egg hunt, and a visit from the Easter Bunny. The event itself is free of charge, but bring extra cash along just in case. All ages are welcome, but bring younger siblings along for any children-related activities this event may have. For only $1.50 a person, you and your family can enjoy a fun-filled night of skating. On April 20th, Easter Day, from 6:30 pm to 9:30 pm, this event will be taking place at Roller Towne in Visalia. Bring along any family members, friends, and some extra cash for food, and you are sure to have a blast at this event! With many fun events to look forward to over spring break, you are going to have times that you will always remember. Enjoying spring should be about spending time with family and friends, and now is your chance to do so. Keep safe over spring break, and don’t be afraid to have a little fun!